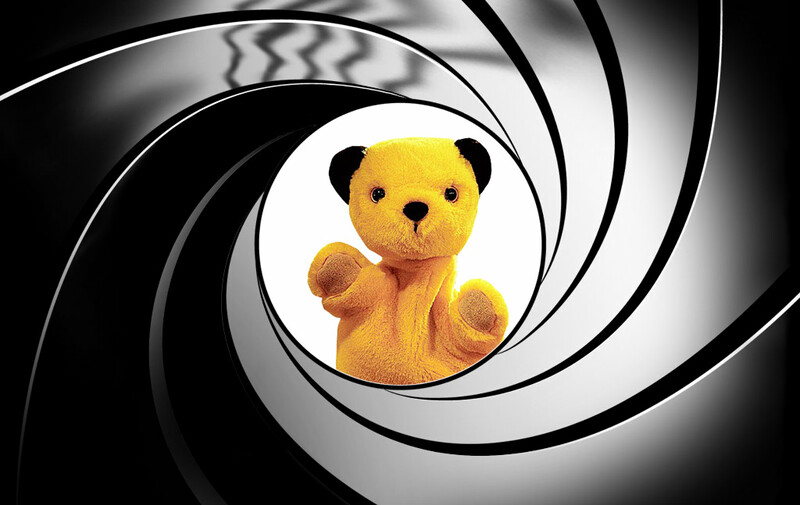 Popular children’s entertainer Sooty has been confirmed as taking over from Daniel Craig in the 007 franchise. Daniel Craig’s next film, due later this year, will be his last the studio has confirmed. Speculation has been rife in recent weeks over who would replace Craig as the world famous English secret agent, with rumours abound that we may have a black Bond, or even a female Bond for the first time. Those rumours were put to bed this morning however when eight-inch tall Sooty was revealed as the next James Bond, and shooting starts on his first outing as early as March next year. Critics have slammed the decision to give the role to Sooty, claiming his inability to speak would render the films a laughing stock. The film’s producer, Barbara Broccoli, insisted that would not be an issue and that Sooty could whisper his lines to other characters to have them repeat them back, as he does on his popular children’s TV show. He could be at a bar, and whisper in the barman’s ear. The barman could say ‘what’s that James? A vodka Martini? Shaken and not stirred? Coming right up’. We’re hoping Sooty can get us back to the camper days of Roger Moore. We’ve got some cracking dialogue planned for other actors to pretend Sooty has delivered. Sooty? Are we allowed to call them that? Splendid! I think Idris Elba will do a fine job.